Providing your vehicle with added protection against theft and the harsher elements of winter is par-for-course for most RV owners. Whether you put your RV in an indoor, climate controlled space, a basic covered space, or a general parking space with the help of a protective tarp, putting it in storage is always better than leaving it for the elements. 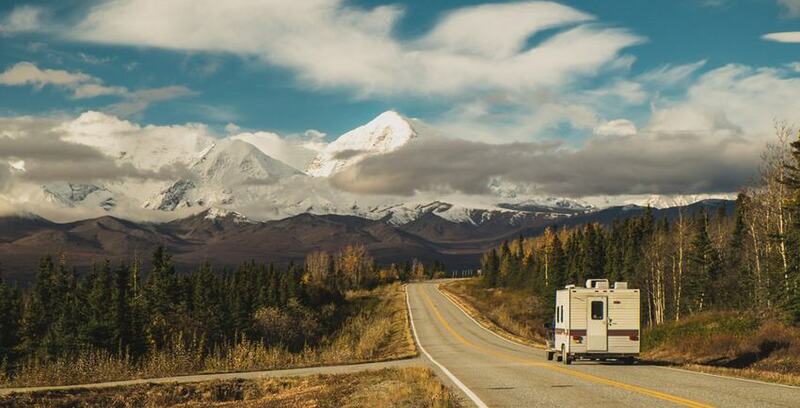 There are a number of steps to take when you put your RV into storage, and we’ve collected them here for you in an easy-to-follow checklist so you can hit the road safely and efficiently come springtime. First, remove the coverings you've placed on top of your RV for the winter, whether they're fabric or plastic, and inspect the outside for any obvious signs of visual damage. After that, roll down the windows and open the door. Let fresh air get in to freshen up the enclosed spaces on your RV. Next up is charging the battery. You're going to want to connect the red cable to your RV's red terminal and the black cable to the RV's black terminal. Adjust the charger to 12V and let it do its thing. It'll take a little time to charge, and during that process you can go through the rest of the checks. The next thing you'll want to do is fill the water system with fresh water. Run it through until it's just as clear coming out as it is going in. This process usually takes around ten minutes. Get its propane tanks out of separate storage and reconnect them to the mounts near the rear of the RV, reconnecting them to the system. Replace and refill all of the fluids that you drained before putting it away. That includes oil, fuel, brake fluid, transmission fluid, power-steering fluid, windshield cleaner, and in some cases antifreeze. Visually inspect all your hoses and belts to make sure no drying or cracking happened while not in use. Check underneath the RV, the hood, and all cupboards, nooks, and crannies inside for any signs of small animal nesting so you can make sure to clear them out before you start driving it again. Check the tire pressure and reference it against the recommended pressure for its specific make and model. Finally, take it on the road and travel to a certified dumping station so you can drain its gray, black, and fresh water tanks before refilling them. After that you should be good to go! Never forget that once it’s time to put your RV back in storage again after another warm season of nationwide adventures, Storage Direct provides a variety of high-quality RV storage unit solutions, so there will always be an option to fit your needs.